Post Malonetook the stage at Sunday'sGrammys Awardsto perform his hit song "Rockstar." 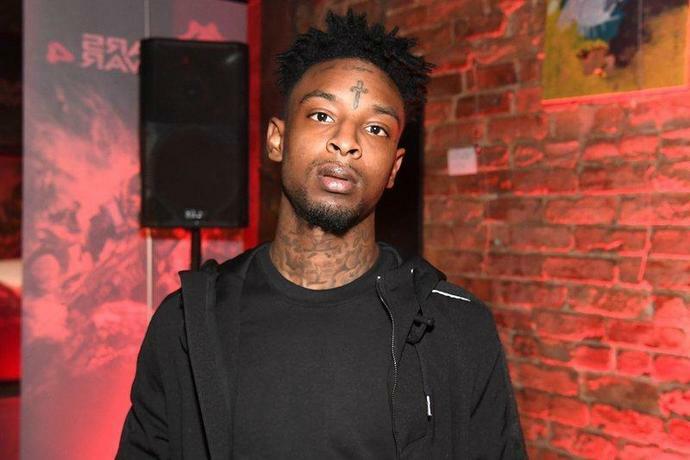 Noticeably missing, however, was his collaborator21 Savage, who wasarrested on Feb. 3by the U.S. Immigration and Customs Enforcement as authorities claimed 21 Savage, 26, is actually a citizen of the United Kingdom and hadoverstayed his visa. He remainsheld without bond, and therefore wasn't able to perform at the Grammys with Malone, 23, as planned. In a previous statement, his attorney told PEOPLE his arrest was "based upon incorrect information about prior criminal charges." He slammed the rapper's ongoing detention, arguing it "serves no other purpose than to unnecessarily punish him and try to intimidate him into giving up his right to fight to remain in the United States." RELATED:Grammys 2019: Check Out the Complete Winners List! Though Malone upset some fans by not mentioning 21 Savage, born She'yaa Bin Abraham-Joseph, while on stage with the Red Hot Chili Peppers, he didwear a shirtwith the rapper's stage name on it underneath his jacket during the performance. Earlier in the day, 21 Savage's co-manager tweeted that the Grammys wouldn't release his client's tickets to his mom to go on his behalfamid his incarceration. "We won't be going to Grammys … the politics and s- is ridiculous …" Justin "Meezy" Williams wrote. Following outcry online, Williams updated that the Recording Academy did, in fact, end up giving 21 Savage's mother the tickets. "Plot twist: tickets were just released 5 minutes ago," he tweeted hours later. "Shouts to social media for getting this issue resolved … see you again next time." PEOPLE learned that in the end, 21 Savage's mom received two tickets to the show. However, later Sunday, Williams tweeted again to say that "NOBODY from our camp" - including 21 Savage's mom - "attended Grammys." "Please don't false report … we were given tickets last minute before the show when it no longer mattered," he added. Another member of 21 Savage's management team shared his regret for the rapper missing the Grammys. "My boi would've looks so amazing on that stage. I can't help but cry rn," Kei Henderson tweeted on Sunday. He laterdefendedhis "emotional moment," writing, "Savage works hard. We work hard. He deserves better." "Rockstar" was also nominated for record of the year and best rap/sung performance.